One Box! Open Just One Box at a Time! I started attending Celebrate Recovery because I could no longer live with myself. My secrets were destroying me. In CR I found a safe place to begin to unload. After 30 or so months in CR, my journey took me into the rooms of Alcoholics Anonymous. There I found even more baggage. No wonder I could never keep my load balanced. Every time I tried to find a “Parking Place on the Pink Cloud” the load in my trailer would pull me back down. I had to unload the trailer, one box at a time. Then – throw the stooopid box away!!! I had a habit of keeping all the boxes – “just in case I need it someday”. Guess what – I always did. Today, my high school classmate Kurt suggested that I unhook the trailer and “get on down the road”. If only it had been that simple. At times I felt like I was pulling a convoy. For me, part of the “secret” has been taking a series of baby steps, one box after another. I learned to keep an eye open for the treasures buried in the box. At some point the process stopped being garbage disposal and became a Treasure Hunt. Today, I don’t park on a pink cloud, neither am a building a palace there. 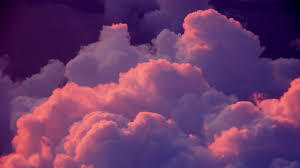 In AA, a pink cloud is a newcomer’s experience. What I HAVE done is traded a trailer loaded with trash for a heart and life full of recovered and discovered gems I cherish. But the best treasure of all is the relationship I have between myself and my “Higher Power, whom I call JESUS. He’s been the ultimate “secret” that has brought me thus far. This entry was posted in CELEBRATE RECOVERY, GRACE, HIGHER POWER, JESUS, PROCESS, Uncategorized on February 6, 2015 by jimdcat. Part of recovery is being true to what YOU need for YOUR recovery. Sometimes this means letting the past go. Whatever or whomever that may be. Like your analogys…makes sense to me! People can pull-you down, too. I feel that now, & I think I’m unfriending a few. Hate the depression, & try to do what the therapists tell us, bu sometimes I get stuck in that moment…baby steps, is right!